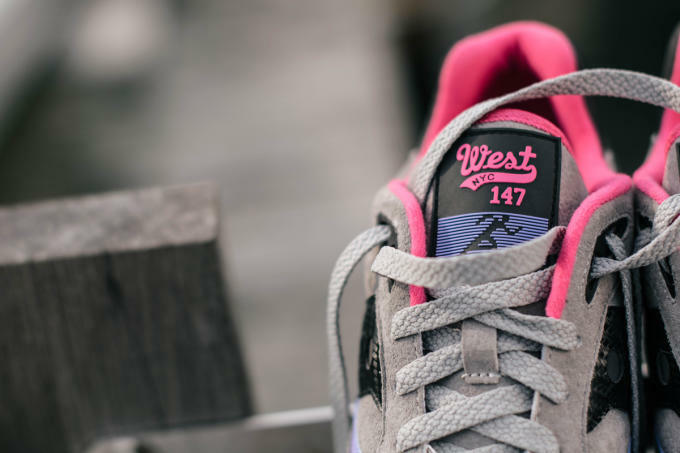 It&apos;s been a while since we&apos;ve seen a sneaker collaboration from West NYC, but its latest project looks like it&apos;s definitely going to be worth the wait. 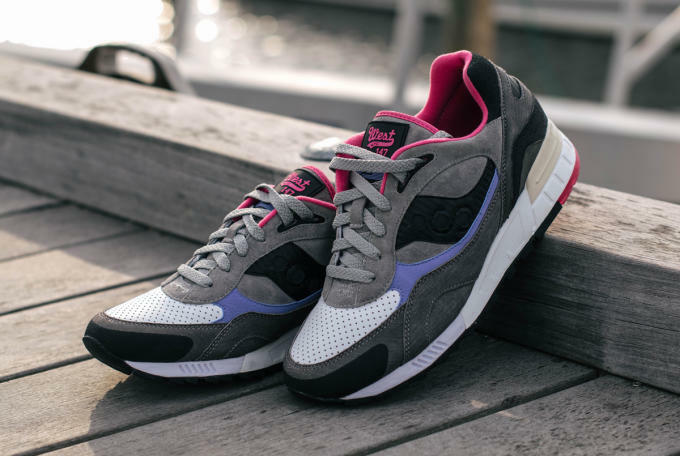 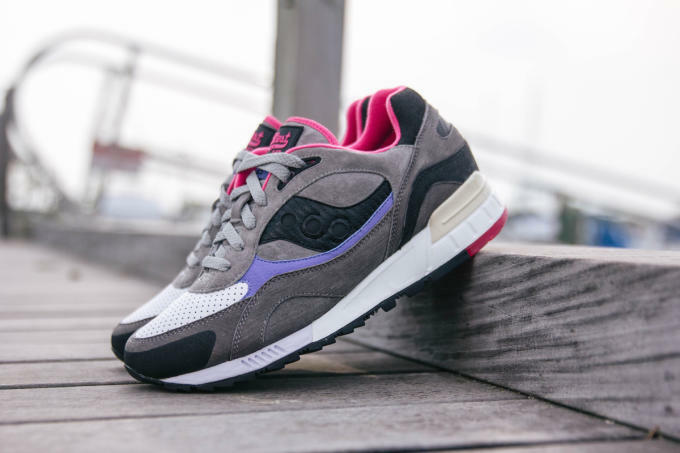 This time around, the store is linking up with Saucony for a fishing-inspired take on its Shadow 90 silhouette. 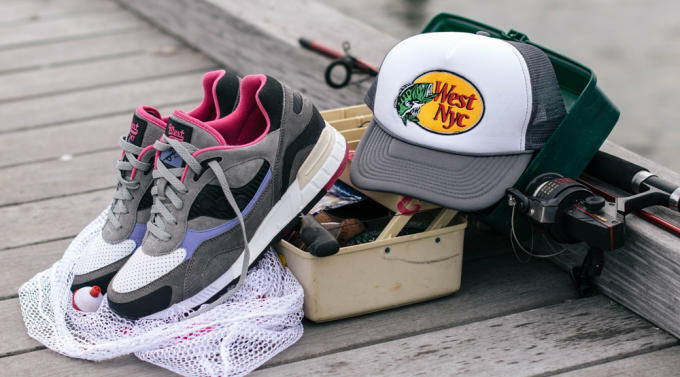 While the angling connection may not be obvious at first glance, a closer look reveals a number of clever details including carbon fiber detailing that represents a fishing rod, an off-white heel clip that mimics an aged fishing boat, and grip tape as a nod to a boat&apos;s non-slip traction. 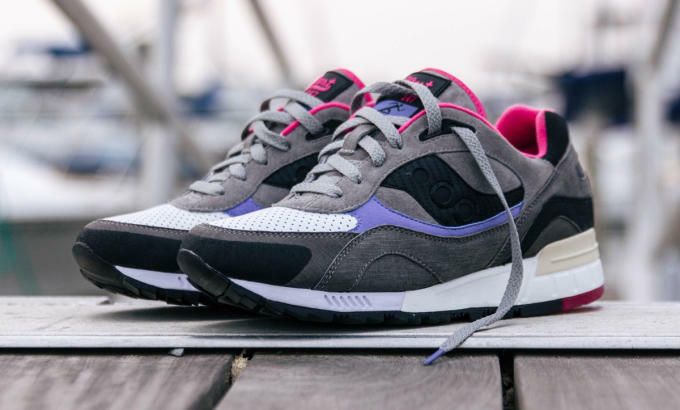 As for the color scheme, a grey and black suede base is offset by hits of pink and purple that symbolize lures. 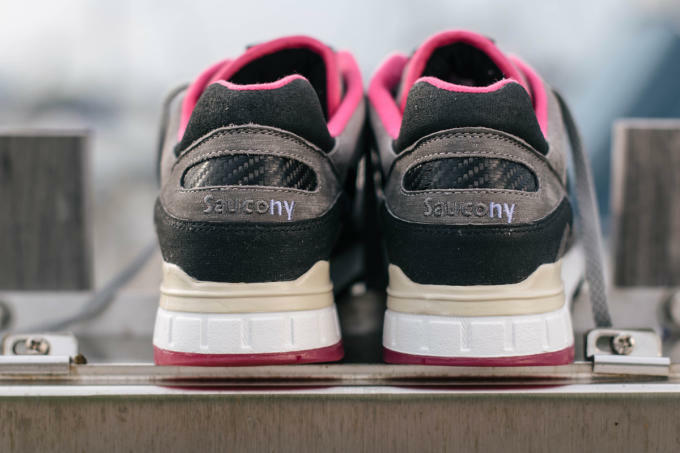 If you&apos;re hoping to catch these, look out for the release on September 26 exclusively from West NYC.